Hello everyone: I have a late card to share with you today, I was busy all morning and I didn't have time to finish this post but, here it is and I hope you like it. I will play along with a few challenges and the end of this post. 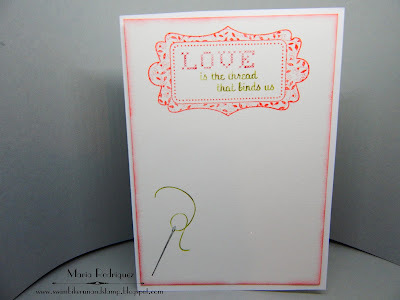 This image is from an old Flourishes set called "Stitched for You". 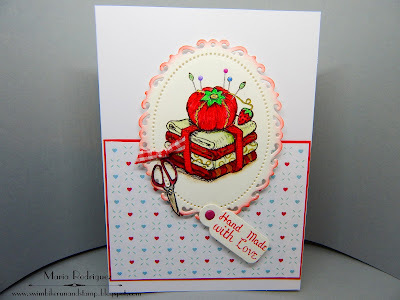 I stamped the image with Stazon Black ink on a die cut oval from the Spellbinders "Oval Regalia" die set and colored it with SU markers, I love the Real Red Stampin' Up! color, it's so intense and rich. 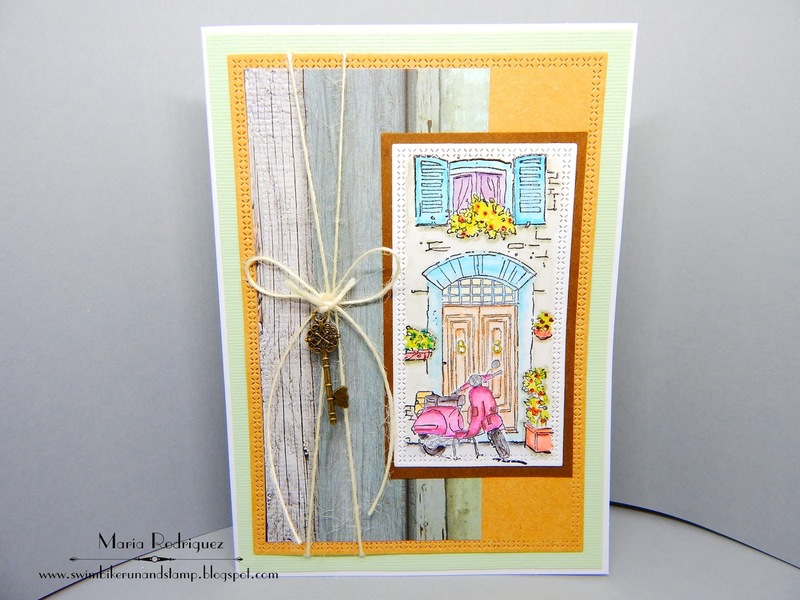 The little pair of scissors are from a Power Poppy set called SAGE ADVISE, stamped on watercolor paper, colored and fussy cut, the pattern paper is from Lili of the Valley. 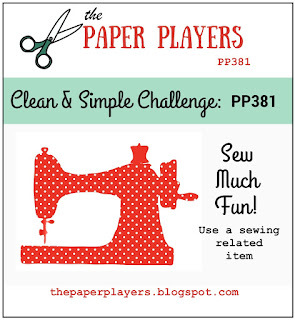 Card Mania Challenge #101 "Red and Hearts"
Craft-Dee Bowz February Challenge "Anything Goes plus a handmade bow"
Hope you can see the little red Gingham bow tied to the scissors. 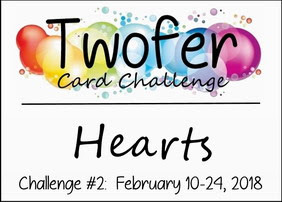 Hello dear blogging friends: There is a new and fabulous challenge out there in Blogland called TWOFER CARD CHALLENGE, this is the second one and I'm playing along. 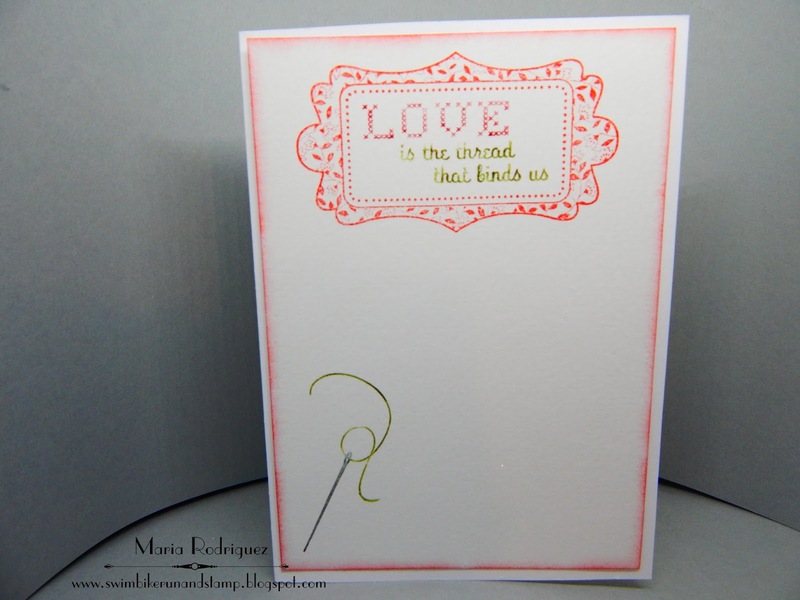 The theme this time is HEARTS and the purpose of this fun challenge is to make 2 TOTALLY DIFFERENT cards using the SAME STAMP IMAGE. I'm telling you, Darnell who is the one who thought about creating this challenge, really want us to stretch our imagination and creativity and believe me, she has done just that!! So, here is my TWOFER cards, hope you like them. 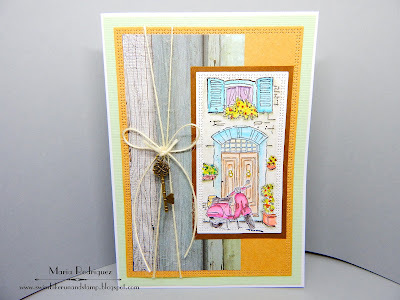 I used one of the images on the retired Stampin' Up! 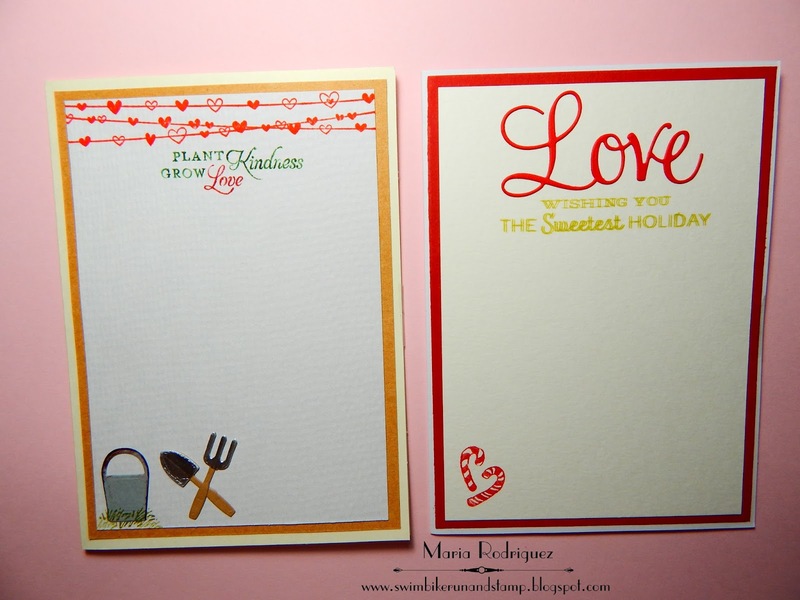 set called "Valentine Refined" to create both front panels on my cards. 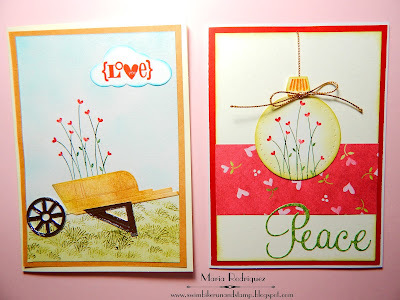 On the one on the left, I die cut a wheel barrel with an Elizabeth Craft Design die set and sponged it with Baked Brown Sugar ink, then I stamped the little hearts image and placed the wheel barrel in front. 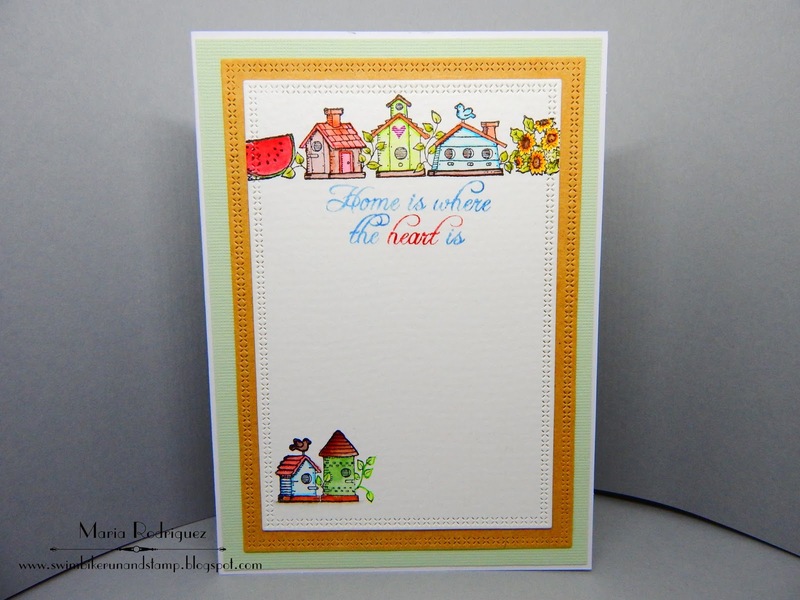 The grass was stamped using an Art Impressions stamp. I sponged the sky and grass with Distress Inks, the sentiment is from the set and it's stamped on a left over die cut cloud. 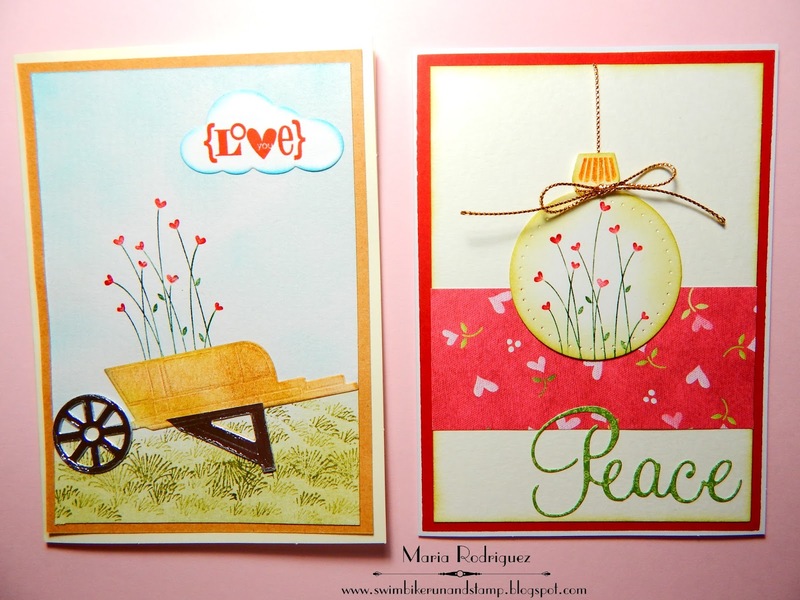 The card on the right was done using one of the dies from a retired SU set called "Ornament Keepsakes", I cut the ornament and then stamped the image, the "Peace" word is die cut using the Penny Black "Love and Joy" set. Pattern paper is from a retired line from Lili of the Valley. This is how the INSIDE of my cards looks like. 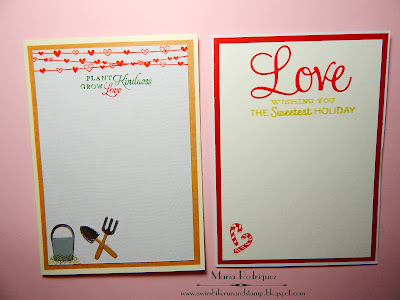 The sentiment on the left is from a discontinues Flourishes set called "From the Garden", the string of hearts on top is from the "Valentine Defined" set, the bucket and gardening tools are also from the Elizabeth Craft Design die set. 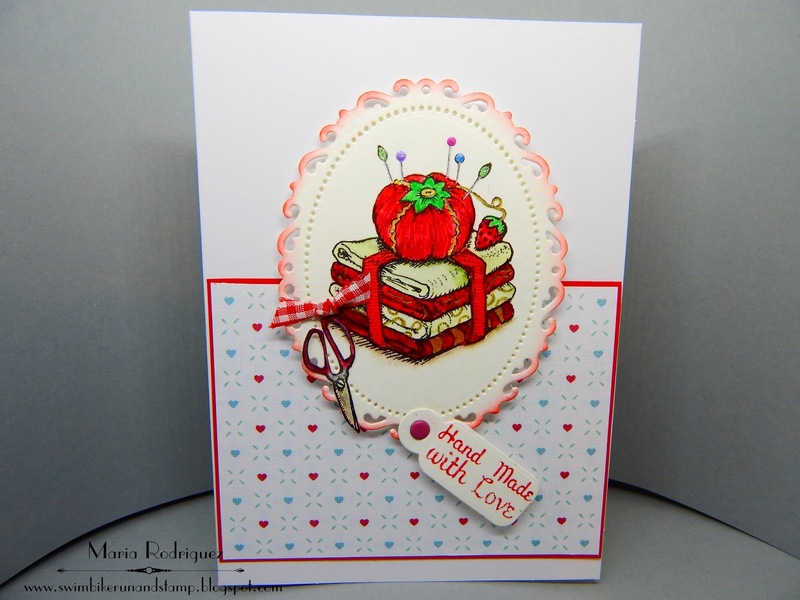 The sentiment on the right is die cut with a die set from Penny Black set called "Peace and Joy", the stamped sentiment underneath is from a Power Poppy set called SPICE IT UP, I just used the top. I would like to play along with the following challenges. Stinkin' Inkers Challenge "Love is in the Air"
Tiddly Inks Challenge #210 "Give Love"
Crafty Sentiments Designs "Spring Challenge"
I had fun creating this cards, I love this challenge because it really helps you increase your stash of cards that are so ready to mail so, thank you so much Darnell, this challenge is awesome. 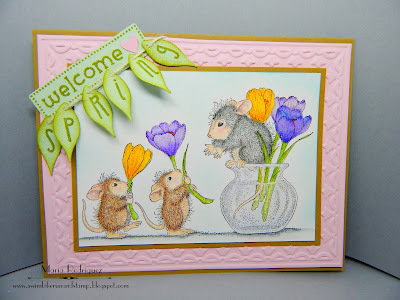 Hello everyone: As one of the Guest Designers at the HOUSE MOUSE AND FRIENDS MONDAY CHALLENGE with a theme of "Anything Goes or Spring Colors". 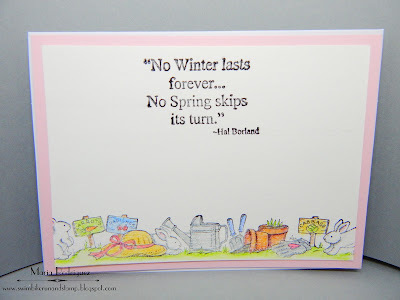 I have a card to share today that will make you wish Spring was already here. 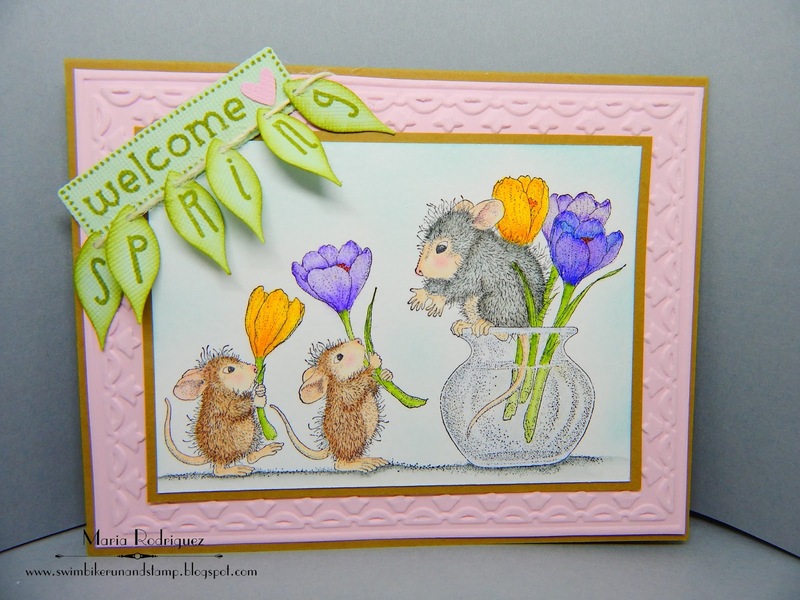 Here is my card and I hope you stop by the House Mouse challenge blog to check out the rest of the members beautiful creations. This image is from a stamp called "FLOWER ARRANGING" and it's stamped on a piece of watercolor paper with Stazon black ink and colored with Sakura Koi watercolors. I just wanted this sweet image to be on it's own so I just framed it with the retired SU "Tulip Frame" embossing folder and I added a little banner I made with the SU "Flower Builder" punch, I stamped the word "Spring" with an old Alphabet set. I punched a little hole on the top of this leaves and ran a piece of twine to create the banner. The sentiment is from Elizabeth Craft Designs, the bottom image was purchased on Ebay but I don't know what company it belongs to, I apologize for this. I want to play along with this challenges. A Gem of a Challenge #213 "Spring Flowers"
Challenge Up Your Life Challenge #85 "Spring Flowers.